A must read for anyone seriously interested in spirituality and bring it back home to the everyday personality and society. It's not a strictly a Non-Dual text but rather deals with the intermediate reality of the soul's progress through realizing essence (or ideas or divine qualities) and becoming a transparent presence. A method that takes us to reality through inquiry about ourselves, emotions, feelings and thoughts to reach the base of the situation we face. I've waited a long time to find this method used. 5.0 out of 5 starsRemarkabe introduction! If you are seriously interested in a supremely structured avenue to realizing the truths to our existence, this is the place to start. I've read the four book Diamond Heart series, and the three Diamond Mind series also by this obviously enlightened author. Any doubts I had after reading the "Snorsville" review were squelched soon after understanding the experiential and profound approach offered by this teaching method. Almaas is and should be revered by his spiritual peers as a true ground breaker in this realm. There is no blind faith here. 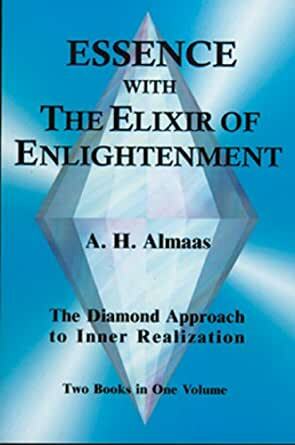 You only need to comprehend what's written so articulately, and if you like myself are seeking truth about who and what we are, Almaas has answers I've seen no where else in my many years of seeking through books and teachings. If you make it through all of the "Mind" series you're understanding of the "work" will be profoundly enhanced to the point where you will be convinced that his approach is unmatched in it's teaching and truth. Update... Since I've written this review many months ago I have read all thirteen books on The Diamond Approach and my learned opinion still stands but ever stronger. I may not be a "former Monk", but through my sincere and intense study of this emence body of work over the past four years, and the integration of this profound teaching into my spiritual practice/life, what's been proven to me beyond any shadow of a doubt, along with countless other students of "The Diamond Approach", including Jack Kornfield, is that this should not be regarded as a waste of time. Although many themes are repeated throughout his teachings, I think we all need to be reminded over and over again of the deepest truths as we so often have the tendency to gravitate back to our conditoned patterns in our hectic lifestyles. Do not take my word for it, or anyone else (with the exception of Almaas). Do your own homework and you will find the truth in these books and most importantly, within yourself as I have. For someone interested in the Diamond Approach, this book is an excellent place to begin. It is easier reading than some of the others and is broken down into digestable chunks. I love it and am highlighting in my Kindle so I am go back and reread even more quickly.